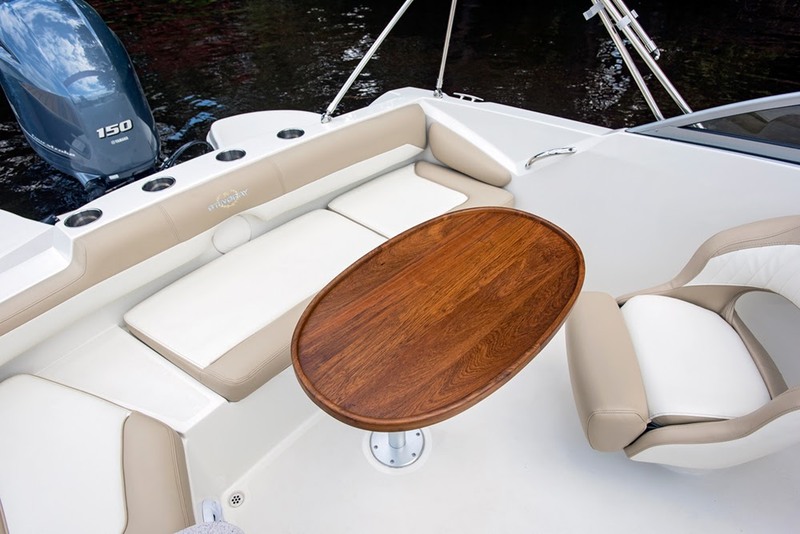 If you love the open feel of a deck boat, but like your boat to have a full windshield, you shouldn’t have to choose. 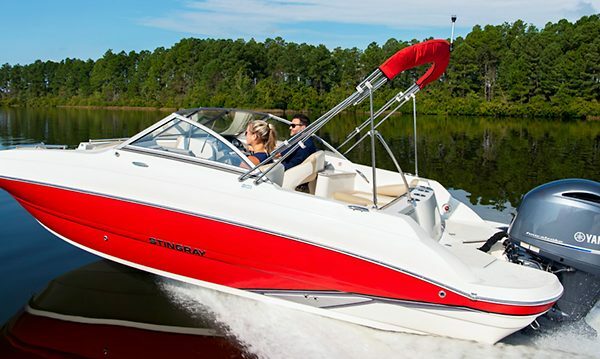 The 201DS Deck Boat gives you all the interior room and storage space of our 192SC and the added full wrap-around windshield provides a nice shield from the wind while underway. 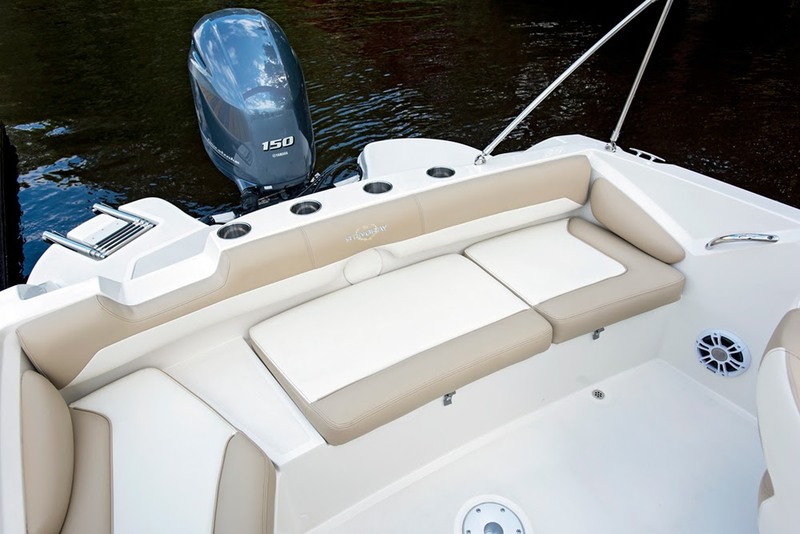 This version gives you two sport bucket seats with bolsters (the 201DC gives you a rear-facing passenger lounge). 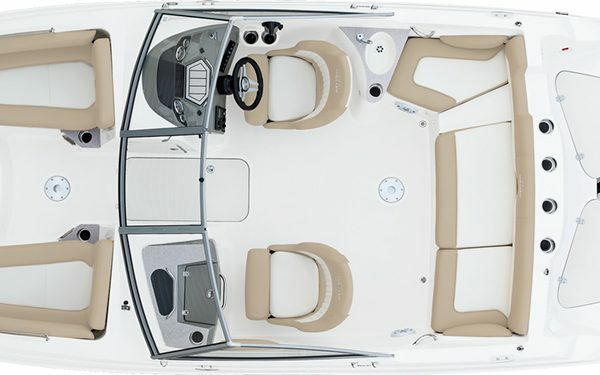 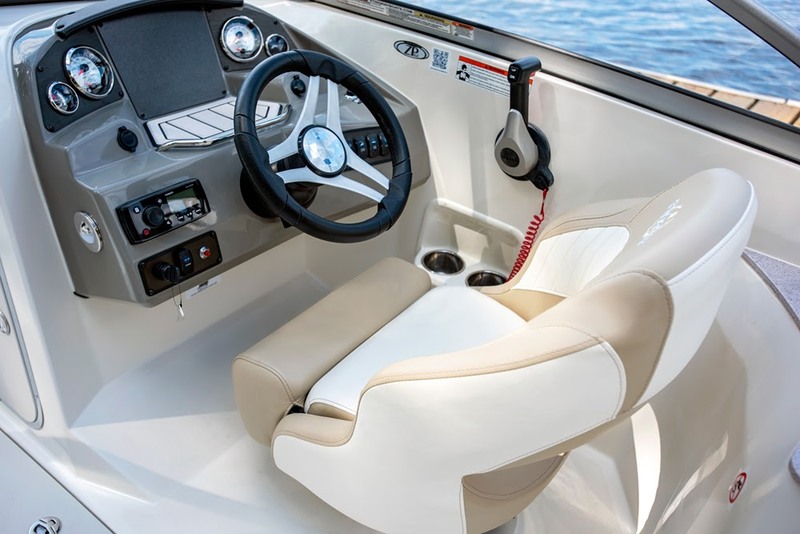 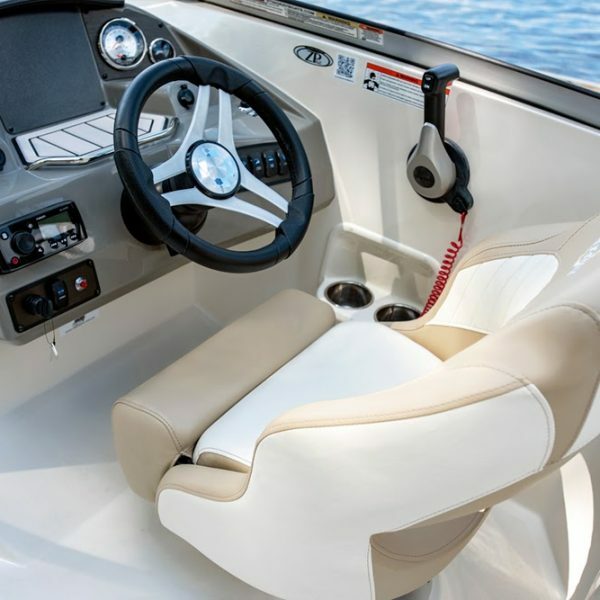 Deep cockpit and bow areas provide extra safety and security for your passengers. 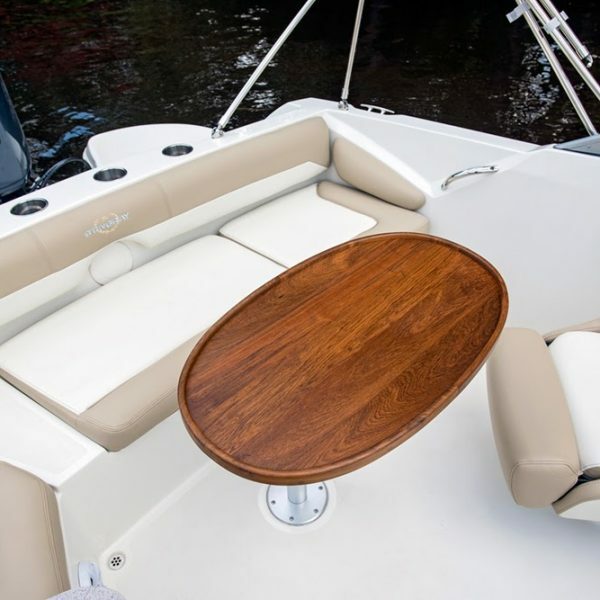 Behind the captain is a solid-surface countertop with a sink and faucet. 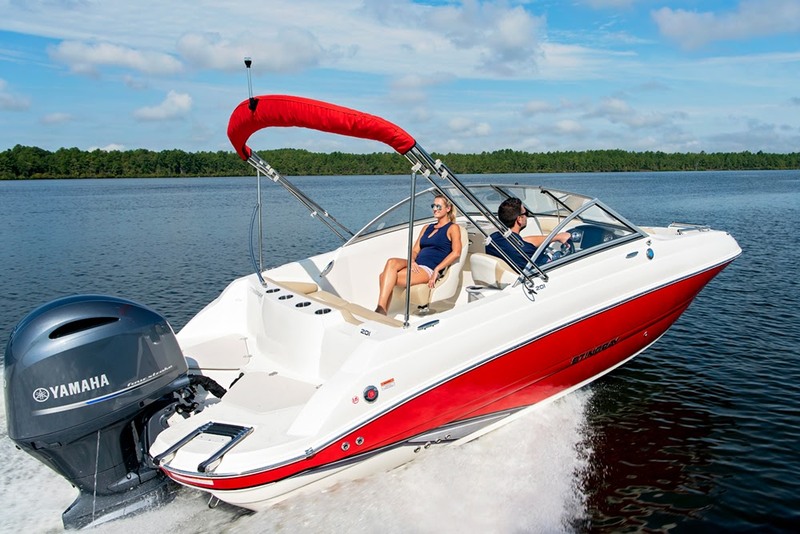 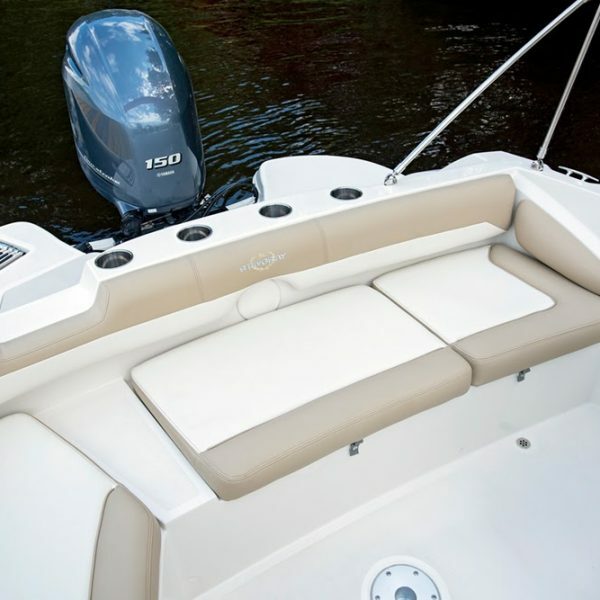 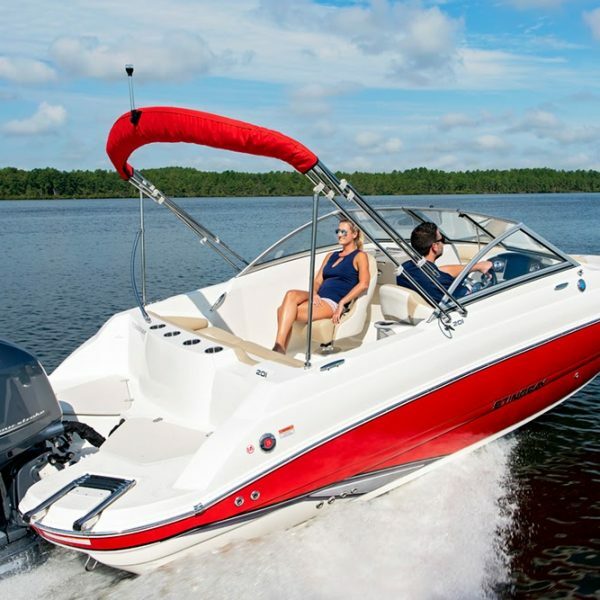 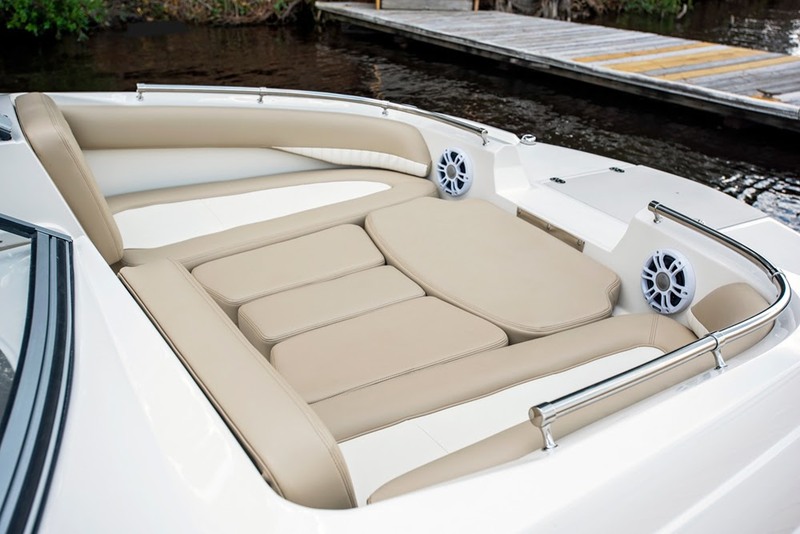 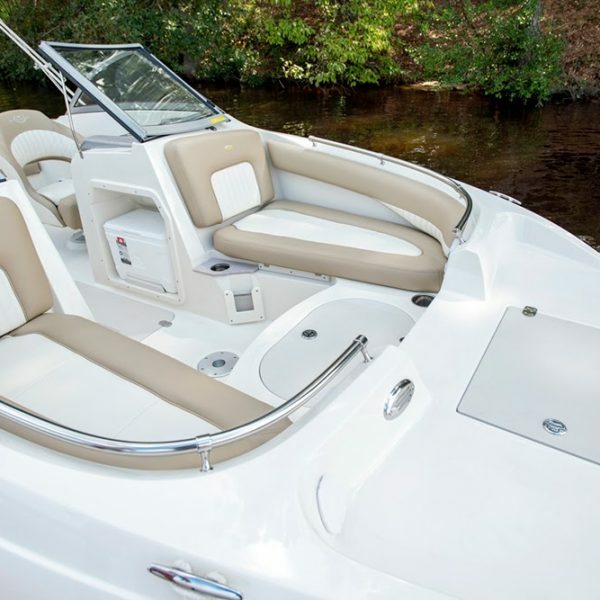 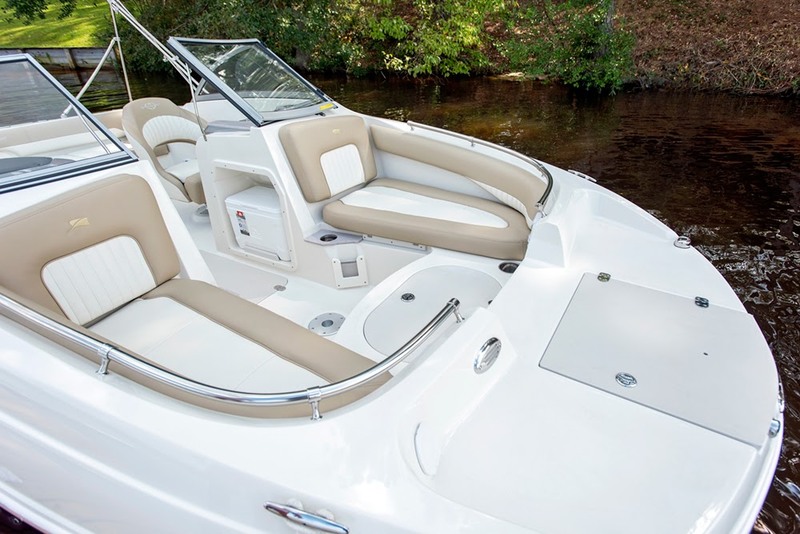 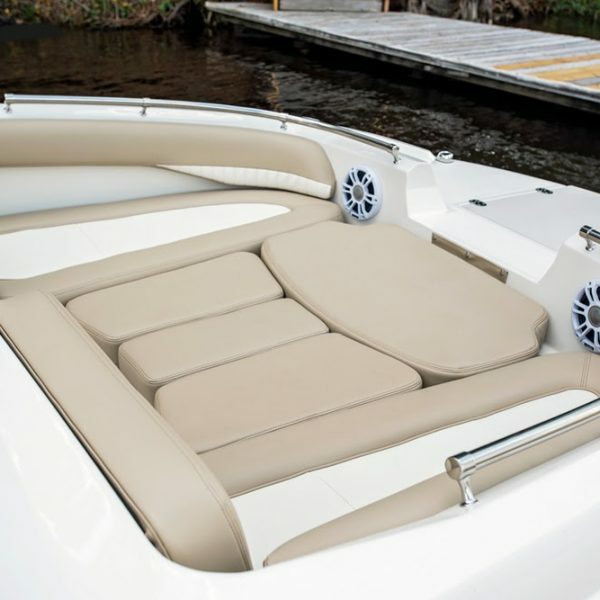 A mix of dual console deck boat and traditional runabout seating works together to give you a roomy boat with seating for up to 10 passengers.